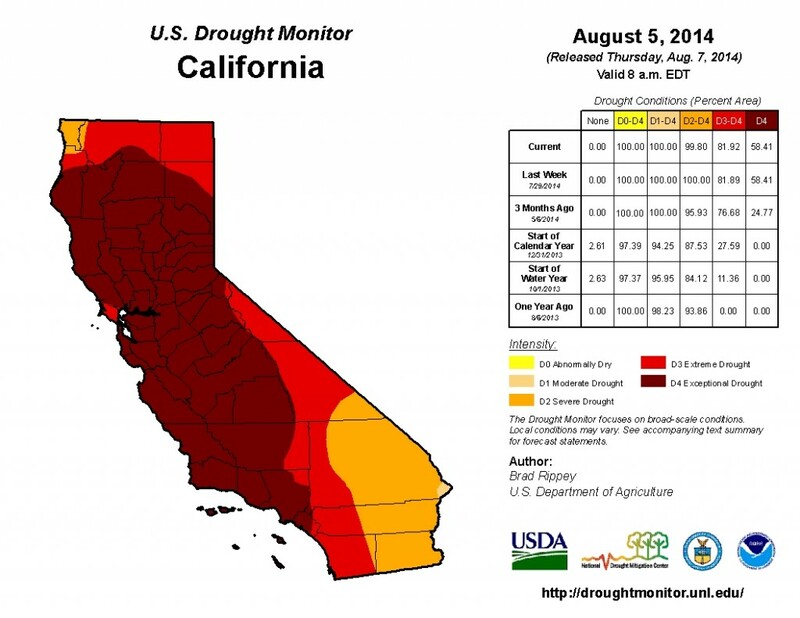 Two areas of California have received significant rainfall in the past few weeks. 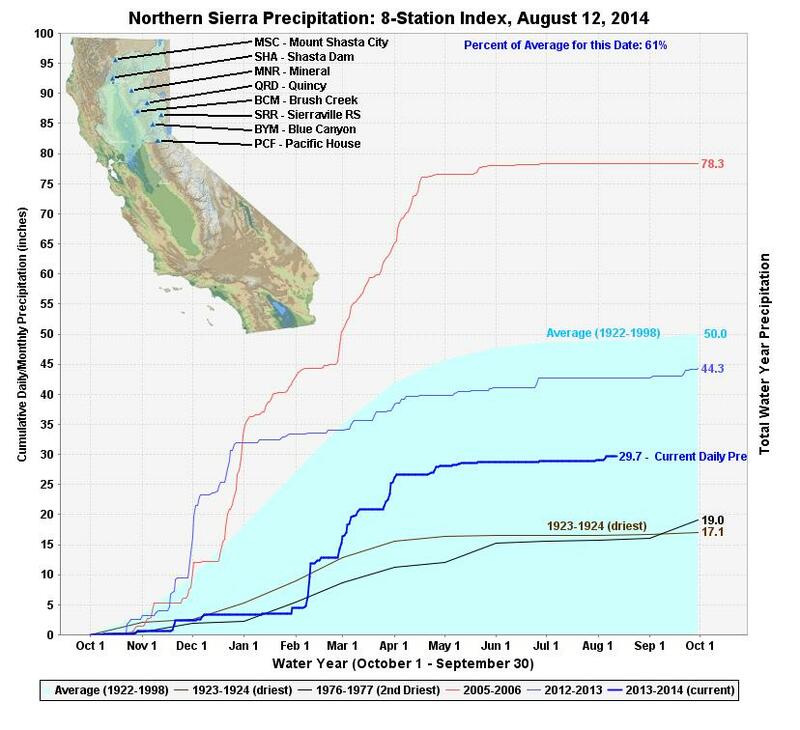 Monsoon conditions brought heavy rainfall to southern California and the southern Sierra early this August. This storm caused severe flooding and mudslides; one man died when his car was swept into a creek near Mount Baldy in Los Angeles County. Central and northern Sierra, as well as northern California also received some rainfall this week. Despite these unseasonably wet events, drought conditions remain unchanged. 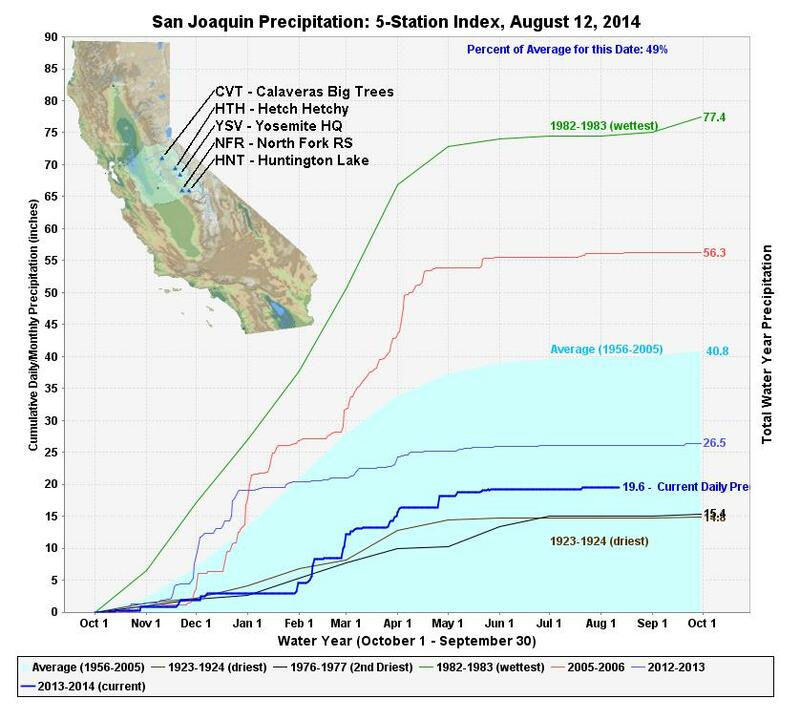 Since the water year started in October, cumulative rainfall is 61% of normal in the northern Sierra and 49% in the San Joaquin. The Groundwater Voices Coalition released a report highlighting groundwater issues in the Central Coast aquifer. The US Bureau of Reclamation has come to an agreement with PacifiCorp that would allow the Bureau to ensure Upper Klamath Lake remains above a specified minimum elevation. Since January 1st, CAL FIRE has responded to 3,959 wildfires on 55,882 acres. The year-to-date historical average is 2,994 wildfires on 44,143 acres. These figures only represent CALFIRE incidents and so the total number of fires and acres burned is much higher. The probability of an El Nino developing this fall has dropped to about 65%, down from nearly 80% last month. Drought conditions remain relatively unchanged from last week. 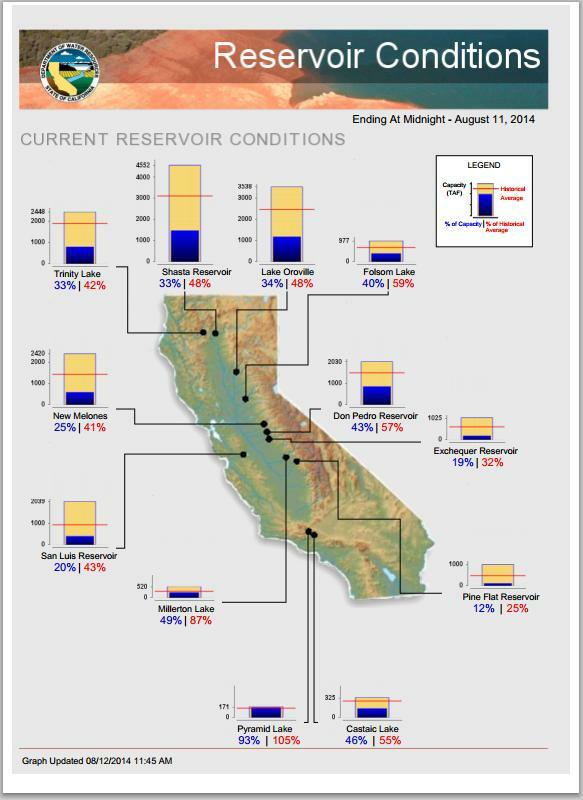 Statewide, California’s major reservoirs (representing about 26.2 million acre-feet of storage), are at about 34% of total capacity and 52% of normal.